What does it take to serve children and families in “the worst of all worlds”? 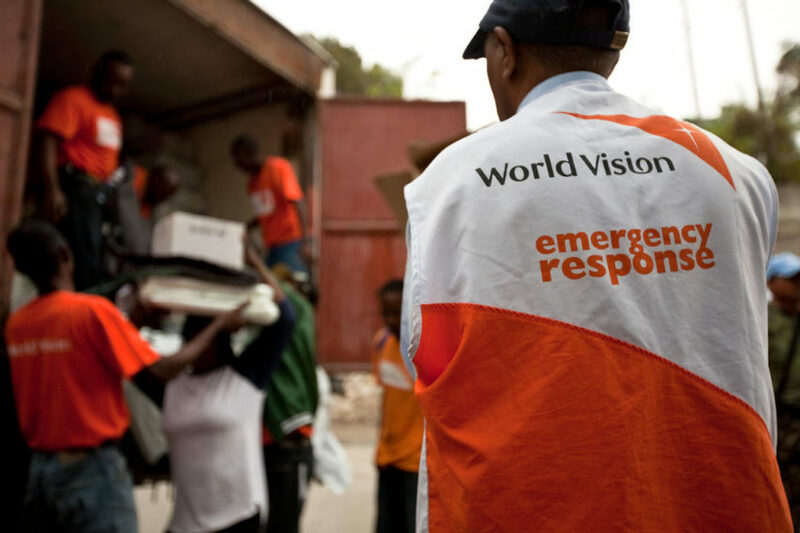 Jonathan Papoulidis, World Vision’s executive advisor on fragile states, breaks down this difficult context for humanitarian work and explains how the organization is uniquely equipped to respond. What does it mean when we say a country is a fragile state? A fragile state is a broken place. The social contract between state and society is broken because people don’t see their government as accountable or responsive to their needs or treating citizens fairly. Public institutions are broken and unable to provide critical services like education, health, and water — making children and communities more vulnerable to disease, disaster, hunger, and malnutrition and also less able to read and write. Fragile states lack resilience, which means they can’t easily bounce back from natural or human-made disasters, economic crisis, and social upset. For example, the Haiti earthquake [in 2010] killed more than 200,000 people and displaced 2 million people. The Chile earthquake [also in 2010] was much larger, but claimed at least 200 lives and caused no displacements. Chile is a more resilient state, while Haiti is very fragile. What happens to those already living in poverty in fragile states? Fragile states are rapidly becoming ground zero for extreme poverty. By 2018, the majority of the extreme poor will live in fragile states. By 2030, some project that an alarming two-thirds of the world’s extreme poor will live in fragile states. What’s more alarming is that extreme poverty has a child’s face. The majority of populations in fragile states are made up of youth. For World Vision, as a child-focused organization, our call to help the most vulnerable children in fragile states has never been clearer. We work in the majority of fragile states and will rise to the challenge of addressing this rising concentration of poverty and its impact on the world’s most vulnerable children. Are there nations that consistently stay in the top 10 list of fragile states, and why? Yes. A group of the most fragile states, calling themselves the g7+ represent those nations who stay in the top 10, such as Democratic Republic of the Congo, Somalia, South Sudan, and Haiti. Most of them have experienced some type of conflict, which has destroyed infrastructure, torn apart the social fabric of society, and eroded the capacity of governments to provide services, security, and livelihoods. These states are starting from a very low point in their recovery. A key reason why these states remain in the top 10 is that they aren’t resilient. They can’t manage new disasters, whether in the form of instability or floods, cyclones, and earthquakes. Governments don’t have the capacity — nor the will, in several cases — to find lasting solutions to social and economic ills. What programs are most effective in helping children and their families in fragile contexts? Programs that directly assist children, households, and communities make a big impact in fragile states, since governments are often unable to provide basic services. To be most effective, programs need to empower communities and work through partners like local nongovernmental organizations, networks of mothers, and farmer associations to build local capacity while providing assistance. Programs should also help governments assume their responsibility, over time, for service delivery to reach larger numbers of the poor and most vulnerable children and ensure support is sustainable. What strengths or programming insights does World Vision bring to the table in this work? World Vision has worked in the majority of the world’s fragile states for more than 30 years. We have a strong sense of what types of programs work in these contexts, and more importantly, we have longstanding relationships and trust with the communities we serve. Contextual understanding and local trust are vital to the work we do in these places. • How do we walk the path with children and families to transition out of humanitarian crisis? • How do we walk the path with children and families out of extreme poverty? Part of the answer is learning and innovating on approaches to transitions in the areas of our greatest programmatic strengths: water, sanitation, and hygiene; health; livelihoods and food assistance; and child protection and education. We aim to integrate all these programs to provide communities with what they need most. Another big part of the answer is that transitions happen best through a wide array of partnerships and support. World Vision partners with churches, donor governments, corporations, and individual supporters across the globe. We partner extensively with local communities, faith communities, civil society, and public institutions in the fragile states where we work. No single group or organization can tackle fragility alone. The way we provide services is just as important as what we provide. World Vision works to empower children and communities, to help make them more resilient to crisis, economic hardship, and instability. But we must not foster dependency on our support. Ultimately, our programs seek to empower and cultivate ingenuity and resilience, so that communities have the know-how, the confidence, and the ability to help themselves and care for their children. We are working to expand one of our signature programs, Citizens Voice and Action (CVA), to more fragile states. CVA equips communities with the tools to monitor and grade how well governments are providing basic services like health and education. CVA then brings communities and governments together to find common solutions for improving schools, clinics, livelihoods, and water and sanitation services. CVA is an essential program for overcoming issues of trust and transparency and for working together to establish or restore social contracts. How does this affect World Vision’s commitment to improving the well-being of children worldwide? World Vision is committed to helping the world’s most vulnerable children, and we continue to do so in many of the most difficult and underserved places. I’ve seen our commitment grow significantly on fragile states and keep pace with the disturbing trends we see in these places for the poorest and most vulnerable children. My hope is that these affected children and families see World Vision as a light in a place of darkness — that they know our leaders, staff, and generous, engaged supporters will be there for them. So many of these children have such hope and dreams of a brighter future, and World Vision wants to nurture that hope. Our work is focused on the well-being of children in the hardest places, as a foundation for their intellectual, physical, moral, and spiritual growth and contribution to the world. How far and quickly can a fragile nation move toward resilience? The journey out of fragility and toward resilience can take decades. But we don’t have to wait that long to help change the lives of children. We continue to have impact in local communities for better health, education, livelihoods, nutrition, and gender equality. And while the road is long, we are seeing that sustained international support is making a difference in the most fragile states. Afghanistan is on track to meet the Millennium Development Goal (MDG) target of halving maternal mortality by the end of this year. World Vision’s widely recognized midwives program has helped the country meet this target. Nepal, Afghanistan, and Myanmar are on track to meet the MDG target of improving access to clean water. 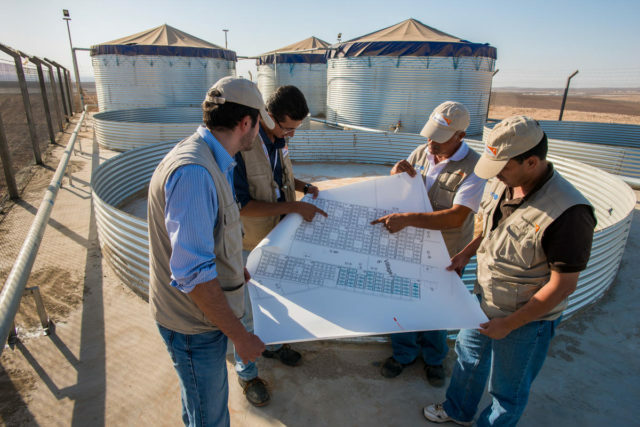 World Vision committed 75 percent of our water programs to fragile states last year. The West Bank and Gaza, Nepal, Guinea, and Bosnia and Herzegovina have already met the MDG target to halve extreme poverty. This is proof that real change can happen, in even some of the most difficult places. For recovery to take hold, what factors must be in place? Recovery is a term that describes the phase between relief and development. We aren’t doing emergency response anymore, but we aren’t doing traditional development. The country is in a gray area — a make-or-break moment that will determine whether people remain dependent on humanitarian aid or whether the country can transcend crisis and lay foundations for development. To make the transition from relief to recovery and then development, there needs to be a shared plan by the local government and international partners on what is needed for that context. Efforts and resources need to be coordinated among all partners so that we aren’t doing the same kinds of projects or leaving big gaps in health, education, and livelihoods. We need to measure our impact to know what’s working and what’s not. 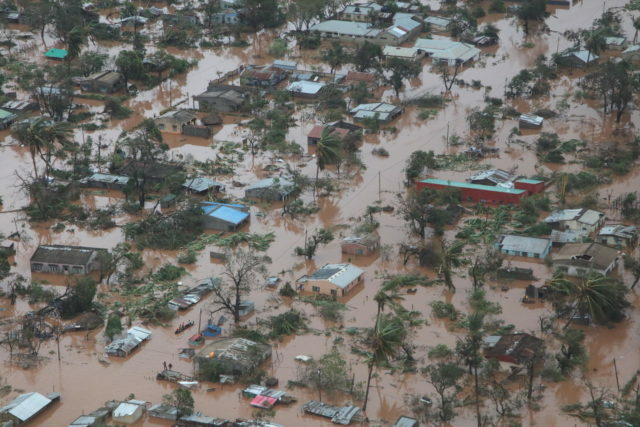 And we need to steadily move from direct relief services to efforts that raise the capacities and confidence of local communities, local governments, churches, and the private sector to work together to pave a road from recovery to development. We need to empower local communities, restore jobs and livelihoods, build up public services, and foster resilience to future disasters that could throw a country back into a humanitarian crisis. If recovery is rebuilding a house after a cyclone, resilience is building it stronger, but also knowing your evacuation routes, storing food and water, and knowing that you can call on your neighbors and government for extra support when the lights go out. You could say we want to foster resilient transitions from relief to recovery and onward to development. How can we pray for fragile states? Pray for the children in the worst of all worlds. Pray that God’s grace is over them when they must endure hardship, destitution, and unspeakable violence. Pray for the world’s extreme poor — those who are the poorest materially and socially, but also spiritually. May they inherit the kingdom of heaven and show us the way. Pray for women, whose powerful voices and energies are restricted in fragile states and beyond. May their persistence in the face of adversity prevail to help bring peace and happiness to their children, families and communities. Pray for World Vision, that our global ministry in fragile states will not falter. Pray that World Vision is used to its fullest extent in line with God’s will, where we are most needed. What Bible verses guide you in your work with fragile states? I look to these passages as guides on calling, love, and resilience in the face of adversity. Oftentimes, these passages just spring to mind through the day. The “plowshares” verse is carved into a wall near the United Nations in New York. It’s powerful to see it there in stone — such a beautiful example of turning the tools of conflict into the tools of development. 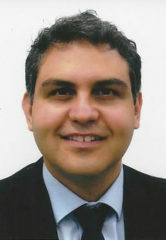 Jonathan Papoulidis provides leadership on World Vision’s policy and programming in fragile states, building close, collaborative relationships with the U.S. government, multilateral organizations, foundations, academic institutions, and corporations. Provide children in conflict areas with basic needs: food, clean water, emergency healthcare, and shelter.